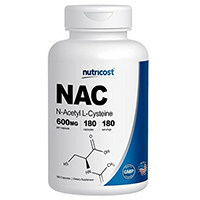 This is our list of the best selling N-Acetylcysteine supplements on the market right now. 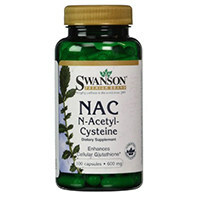 These 10 N-acetylcysteine brands have been ranked because they dominate the e-commerce sales charts, fitness bloggers love them and they have the highest user reviews online. NOW goes beyond FDA standards to ensure high quality. Holding itself to the standards required of food manufacturing and pharmaceutical level exactness. Uses Ageless Oxygen Absorbers in its packaging to ensure that product is not affected by light, heat or gas in the environment. This supplement employs a combination of Quick Release and Sustained Release formulas at a 1/3 to 2/3 ratio. The ratio will release the compound over the course of 8 hours. Non-active ingredients include dibasic calcium phosphate, stearic acid, microcrystalline cellulose, colloidal silicon dioxide, modified cellulose gum, and magnesium stearate. 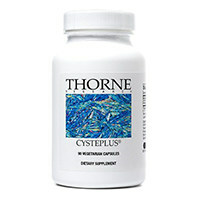 Drink 6 to 8 glasses of water a day when taking the supplement to avoid development of kidney stones. Other ingredients include hypromellose, which is derived from cellulose, leucine and silicon dioxide. Suggested dose is 1 capsule two to three times per day. 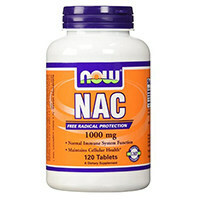 This powdered form of NAC makes the supplement more bioavailable meaning that the body starts to digest and absorb it immediately. This supplement is sometimes taken along with Vitamin B6, Vitamin E and a selenium supplement to further aid in absorption and effectiveness. Recommended dosage is 600 mg (about ¼ of a teaspoon) 1 to 3 times per day. 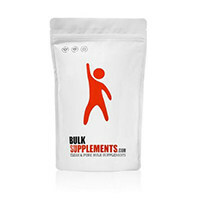 No sugar, soy, dairy, yeast or gluten are found in this supplement. 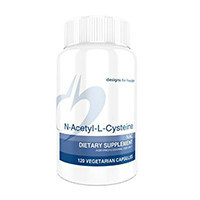 Recommended dosage is 1 capsule one to three times a day on an empty stomach with fruit juice. Other ingredients include vegetable stearates and microcrystalline cellulose. Contains no wheat, soy protein, eggs, dairy, sugar, or yeast. Recommended dosage is one capsule per day on an empty stomach. 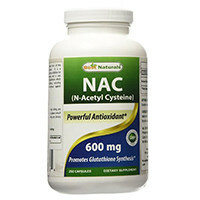 N-Acetyl Cysteine(NAC) is a compound that delivers the amino acid L-Cysteine into the body. This amino acid is an important, naturally occurring component found in foods like cheeses, other dairy products, meats and oats; typically in high protein foods. 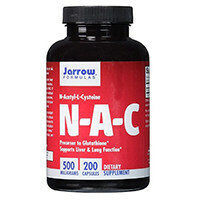 NAC has many medicinal benefits. 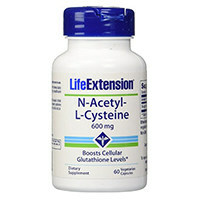 By introducing the amino acid L-Cysteine into the body, this compound triggers the body to form the antioxidant glutathione, which is a key component in healthy cell formation. Since cell production occurs in all systems of the body, this compound can have positive effects across the board. When choosing a supplement, it is important to look at not just the active ingredients, but also what the capsule is made from and what inactive ingredients are included. There are capsules out there that are very thick and hard to digest. It is not unheard of for the component you are purchasing to pass through your system unabsorbed because it took the casing too long to dissolve. As a general rule, when purchasing supplements, you want to find products that include as few extra ingredients as possible. Unless the packaging states that something is being included for a certain purpose, it most probably is unnecessary filler, even if it has an important sounding name. Anywhere from 200 – 1500 mg per day might be appropriate. In the case of acetaminophen poisoning, health care providers may choose to administer N-acetyl cysteine intravenously. For certain lung related health problems, this compound can be administered through inhalers to ease symptoms and aid healing. Always check with your doctor before self-prescribing because there are negative interactions with certain drugs. This compound also has a negative interaction with charcoal, which is often used as a detox agent. 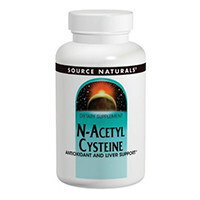 There are some wonderful studies out there detailing the research being done on this compound and how it aids the body. It has caused swelling in the nose and mouth when taken as an inhaler and it is recommended that it should not be taken by women who are pregnant, may become pregnant or are breast feeding. This precaution is because studies have not been conducted to prove if there would be any adverse effects to the baby.